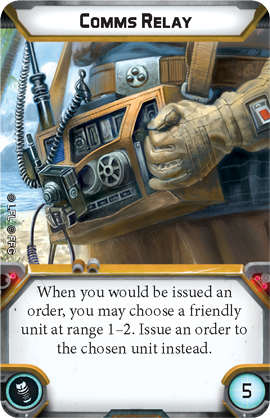 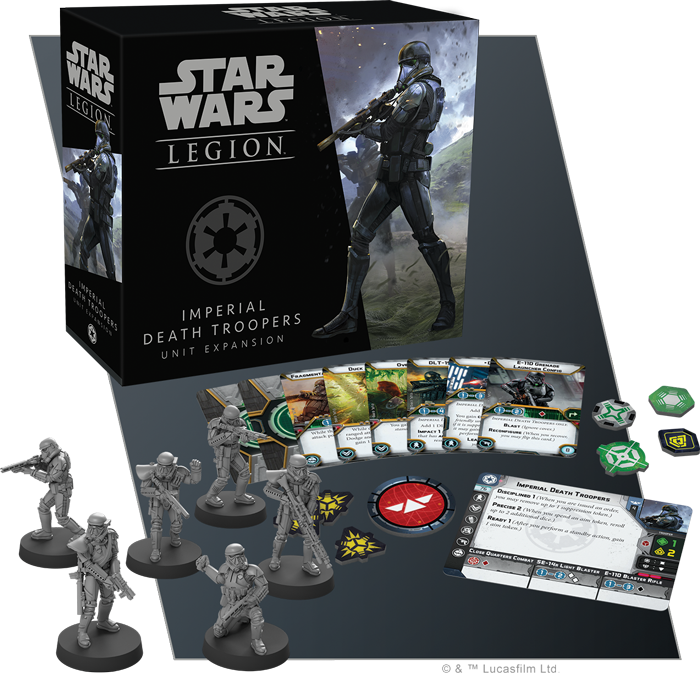 Nach Orson Krennic gibt es jetzt einen detailreichen Blick auf die zweite Neuerscheinung für Star Wars Legion: die Death Troopers Unit Expansion. 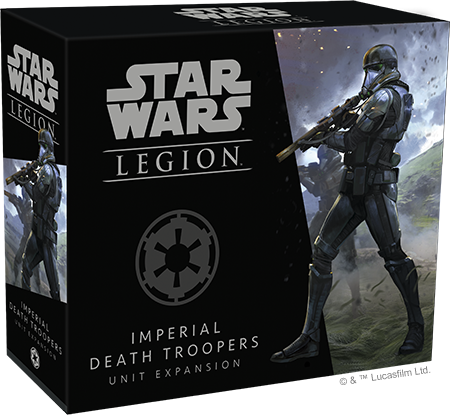 Whether they’re protecting a high-value individual or directly confronting the enemy, Death Troopers set themselves apart in a number of ways. 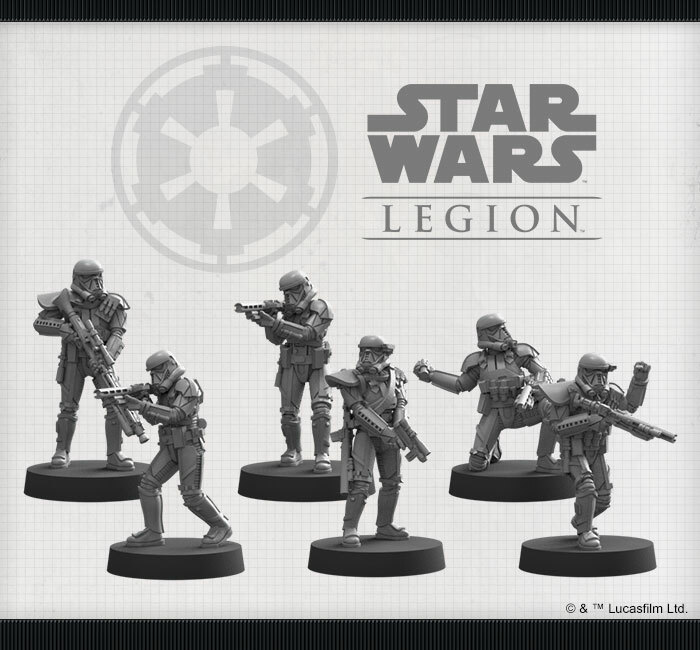 Most Imperial troops are known for their precise shooting, but even the best Stormtroopers can’t match the pinpoint accuracy of a unit of Imperial Death Troopers. 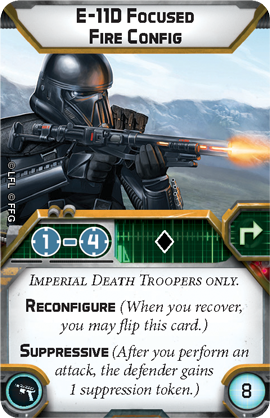 Whether they’re fighting at range with their E-11D blaster rifles or engaged in a close-up firefight with their SE-14r light blasters, Death Troopers rarely miss their marks, making any enemy think twice before moving within range. 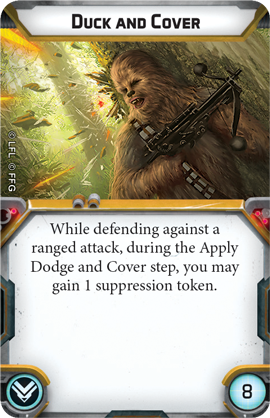 Sometimes, however, it’s more important for the Death Troopers to simply pin the enemy in place to buy the rest of the army some time to perform a flanking movement. 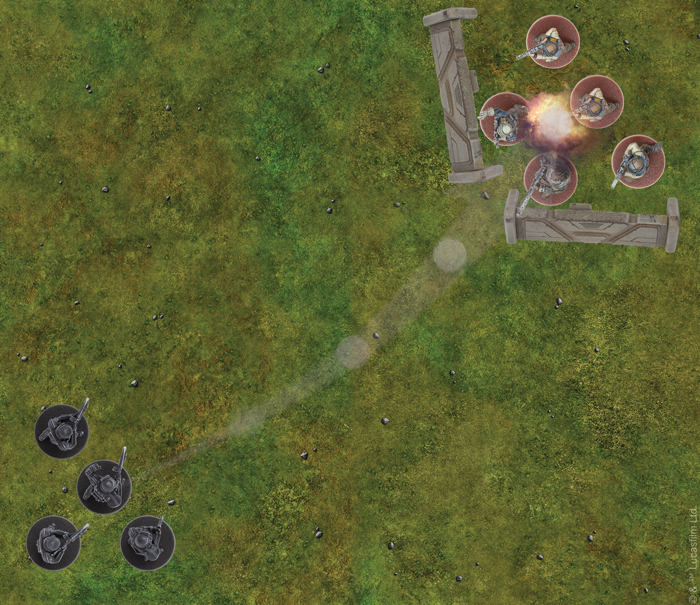 In those instances, the E-11D Focused Fire Config gives them the power to hit an enemy unit with suppressive fire from a distance. 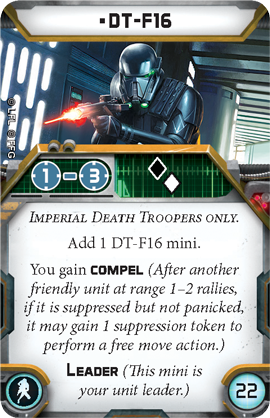 This configuration may extend the effective range of the E-11D and help you keep the Rebels‘ heads down, but it does little to bolster the weapon’s damage. 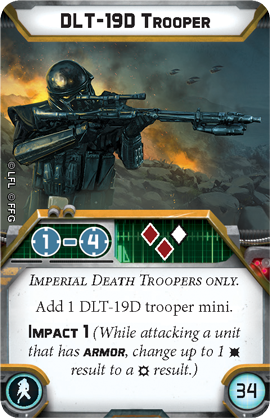 If you’re looking to deal more damage from long range, you may consider swapping one of your Death Trooper’s E-11Ds for a DLT-19D that offers a deadly attack with a chance to punch through a Rebel vehicle’s armor. 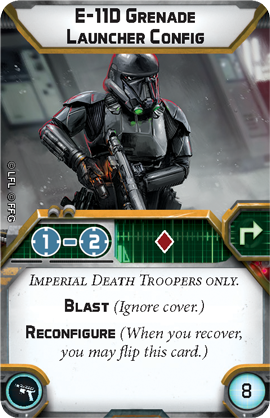 Using their E-11D’s Grenade Launcher Config, the Death Troopers are one of the few units who can ignore cover at range 2!